Creamed Mushrooms with Poached Eggs – Creamy sauteed mushrooms and poached eggs over toasted, buttered sourdough bread. Brunch is just about my favorite meal, and I have a fabulous new brunch recipe to share with you. If you like mushrooms, you’ll love these Creamed Mushrooms with Poached Eggs. Even though I’ve called this a brunch recipe, it would be just as delicious for dinner. For this recipe, I used cremini mushrooms but the white button type works great as does a mix of wild mushrooms. You choose the ones you like best. I sauteed the mushrooms in butter and oil with a bit of green onion and some cream added at the end of cooking. I served those delectable mushrooms over a slice of buttered, toasted sourdough bread and topped it all off with a couple of poached eggs. Add a couple of slices of bacon on the side and dig in! Clean the mushrooms by brushing with a dry paper towel. Remove any woody stems if necessary. 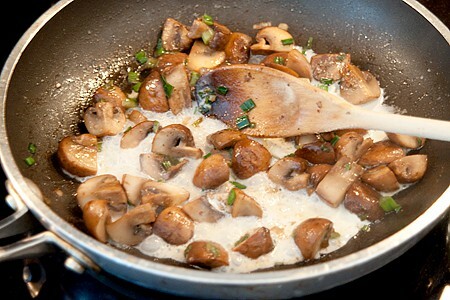 Cut the mushrooms into equal size pieces – quarters for medium sized mushroom, eighths for larger ones. Note: you can use any type of mushrooms that you like for this recipe. White button mushrooms, cremini, mixed wild mushrooms all work fine. Slice the green onions crosswise and set aside. In a medium skillet, melt the butter and oil together over medium-high heat. Add the mushrooms and cook for 2-3 minutes. 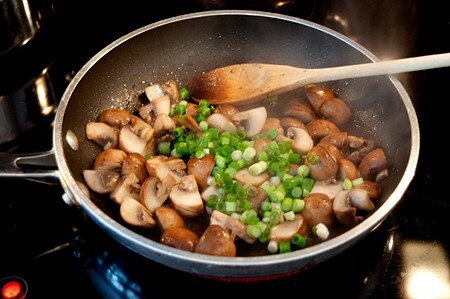 Add the green onions and continue cooking until the onions and mushrooms are tender – about 5-6 minutes. While the mushrooms are cooking, poach the eggs. In a saucepan or flat-bottomed skillet bring about 1 1/2 to 2 inches of water just to a simmer. Keep the heat low so that the water does not boil. Add the vinegar to the simmering water. 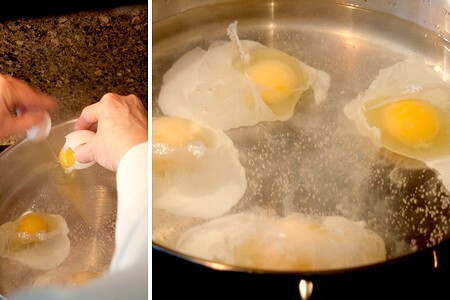 Crack each egg and, holding it as close to the surface of the water as possible, slide the egg into the pan. Alternately, crack each egg into a small bowl. Hold the bowl close to the surface of the water and slide the egg in. When all eggs have been added to the pan, turn off the heat, cover the pan and let the eggs simmer for about 4 minutes. 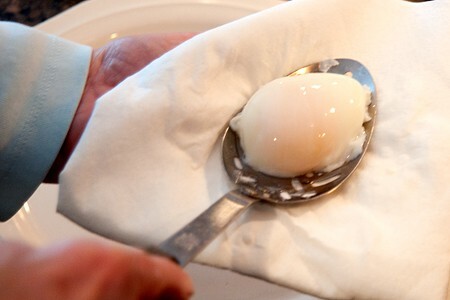 Use a slotted spoon to remove each poached egg from the water. Blot the spoon and egg together on a couple of folded paper towels. Set aside until ready to assemble the final dish. When the mushrooms and onions are tender, remove the pan from the heat and add the heavy cream, and salt and pepper to taste. 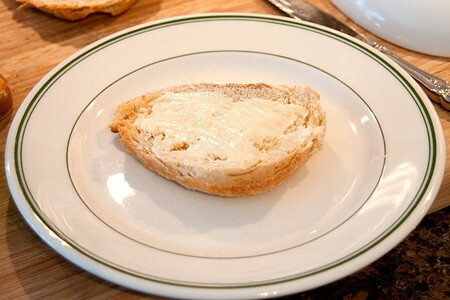 To assemble the dish: Place one slice of toasted, buttered sourdough bread on a serving plate. Top with half the mushroom mixture. 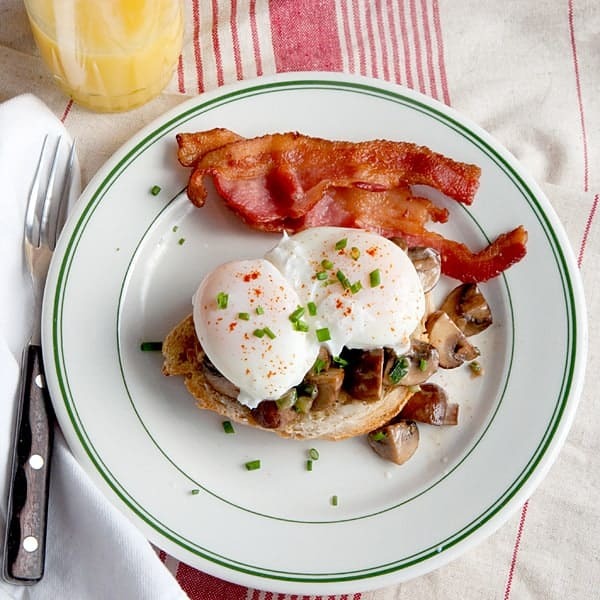 Top the mushrooms with two poached eggs. Sprinkle with a tiny dash of paprika. 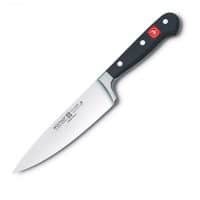 Top with chopped chives. Serve with a side of bacon and enjoy! Pin to Your Pinterest Brunch Board! 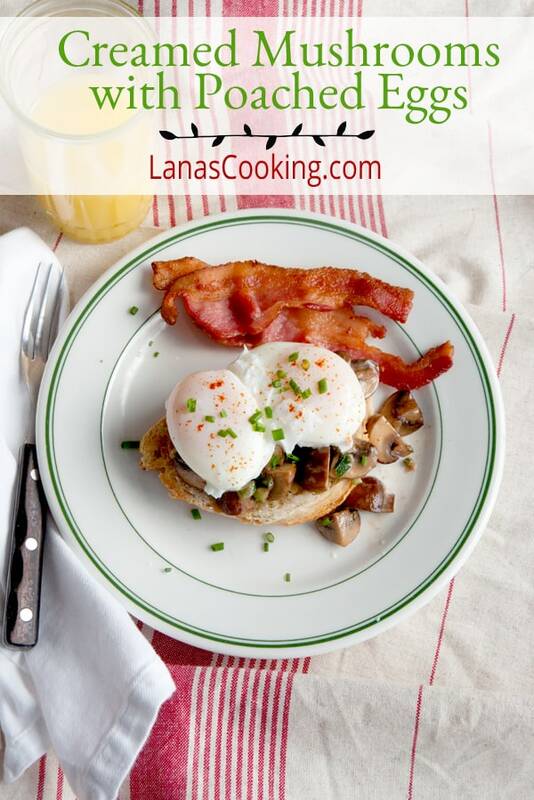 Creamy sauteed mushrooms and poached eggs atop toasted, buttered sourdough bread. Great brunch or breakfast dish. Clean the mushrooms by brushing with a dry paper towel. Remove any woody stems if necessary. Cut the mushrooms into equal size pieces - quarters for medium sized mushroom, eighths for larger ones. Slice the green onions crosswise and set aside. In a medium skillet, melt the butter and oil together over medium high heat. Add the mushrooms and cook for 2-3 minutes. 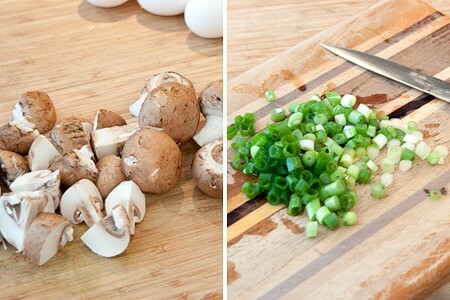 Add the green onions and continue cooking until the onions and mushrooms are tender - about 5-6 minutes. Note: you can use any type of mushrooms that you like for this recipe. White button mushrooms, cremini, mixed wild mushrooms all work fine. This seriously looks amazing. I LOVE mushrooms and this would make a perfect romantic breakfast for two this Valentines Weekend! If you like mushrooms, you’ll really love this recipe, Kim! 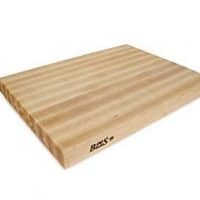 I do hope you enjoy it. We are definitely thawing out, Norma. Although there’s still little piles of snow in spots, it’s definitely more normal! There can never be too many mushrooms in my life. They are a necessary item in my fridge at all times. LOVE this dish! You know Brenda, I’m not sure my fridge has ever been without mushrooms. They’re just always there. Oh MY Lana! just made this for our Sunday Brunch..FANTASTIC AND SIMPLE!! Thank you for this! If I had a restaurant here in Tulsa this would be on the menu. I’m so happy that you enjoyed it!